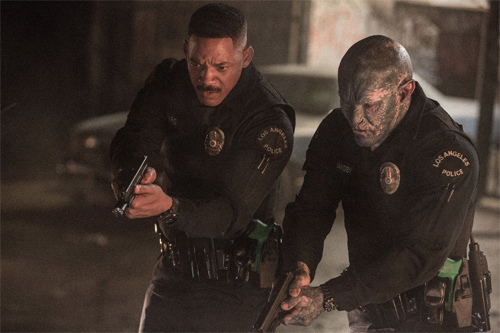 Following the events of the film Bright, Officers Daryl Ward and Nick Jakoby (the orc) are back on patrol. The fact that they saved the world from some sort of elven destruction has been covered up by the Federal Government and things in Los Angeles have just about returned to normal. Which means things are totally messed up. But just as things are settling down, a call to a mansion in the elf district uncovers a mysterious rift and a strange being from another reality. A reality with way more monsters than this one. Can they protect this strange being and prevent more rifts from opening up or is the real world doomed? With Zack GMing and Steve playing, the world is probably doomed. Zack: So did you see Bright? Steve: I ended my Netflix subscription to protest the cancellation of Haters Back Off. Steve: No, I never watched that show. 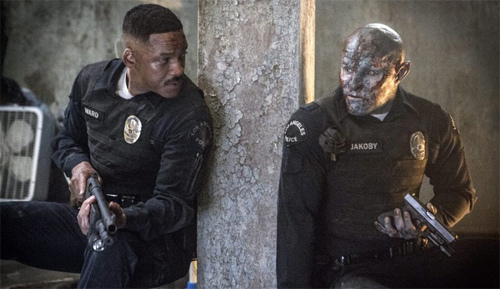 OF COURSE I have seen Bright! I love it! 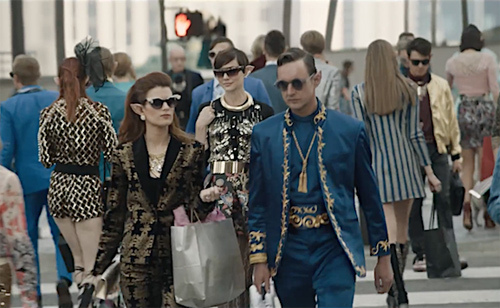 Zack: The film was a laughingstock for critics, making many “worst of” year-end lists. A lot of people were also upset by its ham-fisted racial politics. Zack: They were bad, Steve. Zack: I liked the movie. Steve: See! I told you it was badass! Zack: It was unexpectedly fun. Even if it was a ripoff of Shadowrun. Steve: Shadowrun is in the future. Zack: Which is it going to be? Steve: Does Will Smith get to be a bright? 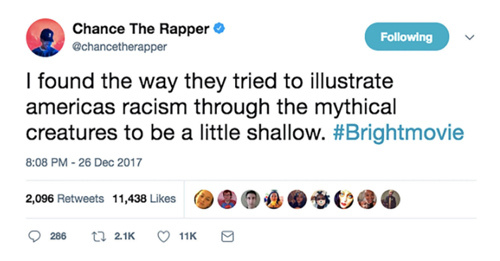 Zack: That is the term for wizards in Bright and yes, he would be a bright, but he doesn’t have the magic wand so his powers are limited. Steve: Going to go Orc cop then. 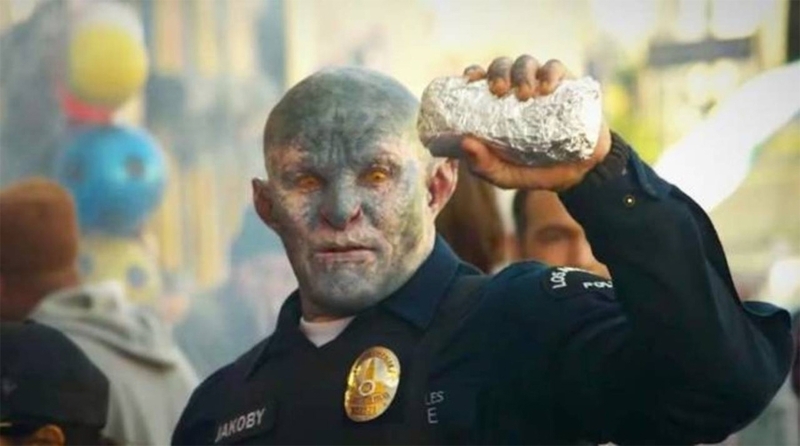 Officer Nick Jakoby. Steve: What system are we using? Zack: The one system that totally makes sense. Steve: Well, okay, but we don’t have any mega damage weapons. Zack: Nope, just regular old shotguns, pistols, and cop cars. Zack: We begin late at night in Los Angeles. Officers Ward and Jakoby have been on patrol for several hours, mostly just domestic calls, vandalism, and a robbery call. Zack: So far, it has been a quiet night. Steve: So have you been practicing your magic moves, partner? Zack: Yeah, I’ve been practicing my magic moves. In the bedroom. On your mom. Steve: My mother is very old and fat. Why are you in her bedroom at the nursing home? Zack: That was just where the line went when I got there. Steve: The line? What were they in line for? Zack: This is going way too far without you understanding the joke, orc man. Steve: Explaining jokes ruins the humor. Steve: So why are you explaining it? Zack: Because you don’t understand that it’s a joke. Steve: Maybe that is your fault. You need better jokes, partner. Zack: Alright, let’s hear one. Zack: Let me here one of these hilarious orc jokes. Steve: Two orcs walk into a bar and are not injured by the bar. Zack: Yeah, that’s not a joke. Zack: You’re not telling me a joke. Steve: It is very funny. I have heard this joke many times. Zack: Before you can answer Officer Ward, you receive a radio call. There is a report of strange sounds and possibly gunshots in one of the elf enclaves in the Hollywood Hills. You are the nearest unit. Steve: I wouldn’t know. I spend all my free time honing my cop skills. 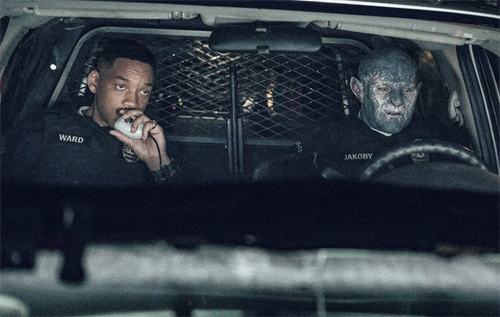 Zack: Officer Ward turns the car around and flips on the lights. He speeds to the gated entrance to an elf enclave called Sacred Grove. The armed security guard at the gate stops you. Zack: The guard starts to say, “We handle all emergency matters internally. 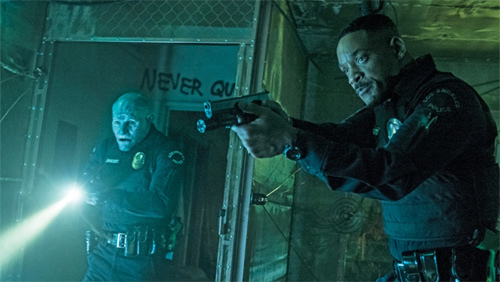 A security team–” He gets interrupted by screaming and gunshots coming over his radio. Zack: Officer Ward slams on the gas and drives off to the address leaving the security guard shouting for you to stop. Steve: I’m getting my gun out. Do we here shots as we drive up? Zack: No, but as you walk up, a guy in the same security uniform as the guard at the gate comes staggering towards you with half of his face and one of his arms missing. Steve: It’s another wand situation! It has to be! Look at his face! Zack: “Oh damn! I don’t know about all that, but we need some backup!” Officer Ward calls for an ambulance and all units. Steve: While he is doing that I am going to get out of the car and cautiously approach this guy. Steve: Is he still alive? Zack: He lets go of your sleeve and seems to die. Steve: Seems to die or does die? Zack: He is suffering from acute lack of blood still left inside his body. Steve: What about his injuries? Any idea what caused them? Zack: He seems to have suffered explosive force and heat injury. He is both burned and half blown apart. Zack: Just then you hear a loud whine of jet engines and something big and black shoots into the sky. Steve: Is it shaped like a skull? Zack: It’s about half skull. Like take an Osprey and replace the front half of the fuselage with a giant red-eyed skull. Steve: As an orc, I approve of the whole skull aesthetic. On the other hand, I have some issues with blasting a guy in half. Steve: “Let’s go, partner.” Brandishing my pistol and running into the house. Zack: Office Ward follows close behind you. The house is a mansion done up in trashy modern style, with lots of flatscreen TVs all over the walls and weird sculptures. Immediately, you smell smoke and hear a smoke alarm going off. Some of the lights are knocked out and you can see holes burned through several walls. Steve: Holes like a fire burned through or holes like a laser burned through? Zack: These are definitely exploding laser bolts or something along those lines. You don’t really have a lot of experience with energy weapons, but it looks like whatever shot up the house also shot up the security guard. Steve: Is there anyone else? Zack: Moving deeper into the house, you find three more security guards, two of them in smoldering pieces and the third missing his head and shoulders. Steve: It still feels similar, but I will agree the skull is a new wrinkle. Zack: You reach the main living room of the house and find that the floor is smashed open and the roof as well. There is a drop down three floors to a sub-basement and in the bottom of the sub-basement you can see a smooth-sided crater in the floor. There is also an ozone smell in the air. Steve: Shining my light down in the crater. Zack: You can see something green moving in the crater. Steve: Is it an orc? Zack: Orcs are not green in Bright, you know that. They look more like Irish people with severe melanoma. Zack: I said Irish do I have to repeat myself? Steve: Is there a way down there? Zack: Officer Jakoby could survive jumping down with his orc physique. Officer Ward will have to find stairs. Zack: You land down in the hole and you immediately notice several splattered green creatures on the ground. They are of various sizes, humanoid, and they seem to have burn marks like the ones on the security guard. Zack: The green you saw isn’t flesh though. 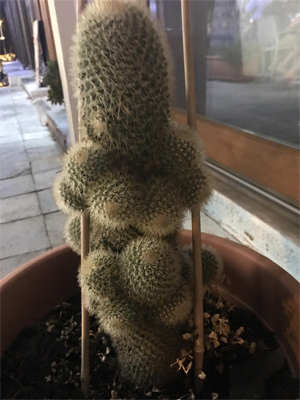 It’s cactus. Steve: You said one of them is still alive? Zack: Right, one that is about five feet tall is moving around. It appears to be female based on its feminine lumpiness. Zack: No, not exactly, it just has lumps of unequal size in that general vicinity. She also has a pink bow on her head. She looks like if a Saguara had humanoid shape with arms and legs. Zack: No, much more humanlike, which makes her pretty horrifying to look at. She has this big round cactus head with a working mouth that is moaning in pain. You see that one of her arms has a hole in it and is leaking green juice. Zack: “Water!” She croaks desperately. Steve: Is there any water nearby? Zack: Actually, yes, there is a mini fridge in the corner and it’s stocked with bottled water. Steve: Grab several bottles and pour one on her. Steve: “Sorry!” I’ll give her the bottles and look for something to bandage her arm. Zack: She starts chugging the bottles of water. Steve: Where did you come from? Steve: Jakoby is not from Arizona and has never been there so he considers it possible that it is inhabited by cactus people. Zack: And the cactus lady starts making a high-pitched screeching sound that makes your head hurt. Steve: Because the sound is so bad? Zack: No, because she is using some sort of psychic ability. You and Agent Ward stagger under the pain. Steve: I’ll explain it all to him. How she is from Arizona and her cactus kids got stomped on by skull men. Zack: And Chim doesn’t know. Steve: Does Chim have any weapons? Zack: Actually, yes, she has a sword that hums when she presses a button and a big pistol. Steve: We need to find these skull people before they start more trouble. Steve: Save the world and they still don’t like me. Zack: Maybe this time when we save the world they will come around on you. Steve:That reminds me, do any of the cops want to kill us and take the cactusfolk? Zack: Hard NO. They stare in horror at Chim as you and Ward help her out of the crater. Most of them are pointing their guns at her. Zack: The police start to lower their guns when suddenly!!!! There is a massive explosion by the Hollywood sign! Zack: You watch in horror as a spider-legged skull tears down the “H” and fires laser blasts out of two huge cannons. Zack: A nearby bodega explodes and cars begin to wreck into each other. Steve:We have to do something! 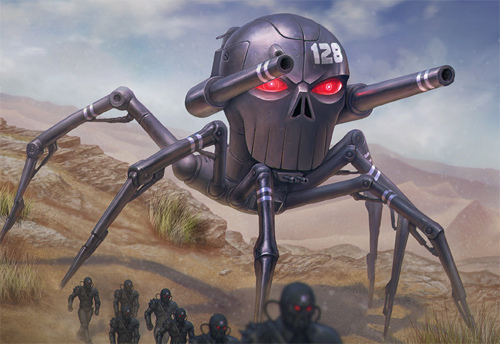 Steve:All units, the skull is attacking! Zack: Can the LAPD fight a giant spider skull robot? Will Chim help? Will another rift open? Zack: Find out NEXXXXT TIIIIIME!